For complex strategic projects, when applicable, we use a process comprised of in-depth planning stages. Think of the current state of your brand as a cube. The key aspects, shown in our diagram, need to be correctly understood and aligned for the entire brand to work. Our aim is to scrutinise each aspect of the cube to create a brand that works. This means understanding each element of your brand and its impact on the overall imprint created in the consumer’s mind. With this in mind, our strategic process not only helps us to understand your product, the market you operate in and your customers’ experience; it also enables us to deliver creative design solutions to your challenges. A brand brought to the consumer by an impactful campaign will form a strong emotional connection with the viewer. The Brand Cube method deconstructs the challenges of creating a powerful campaign and enables us to deliver a successful solution. 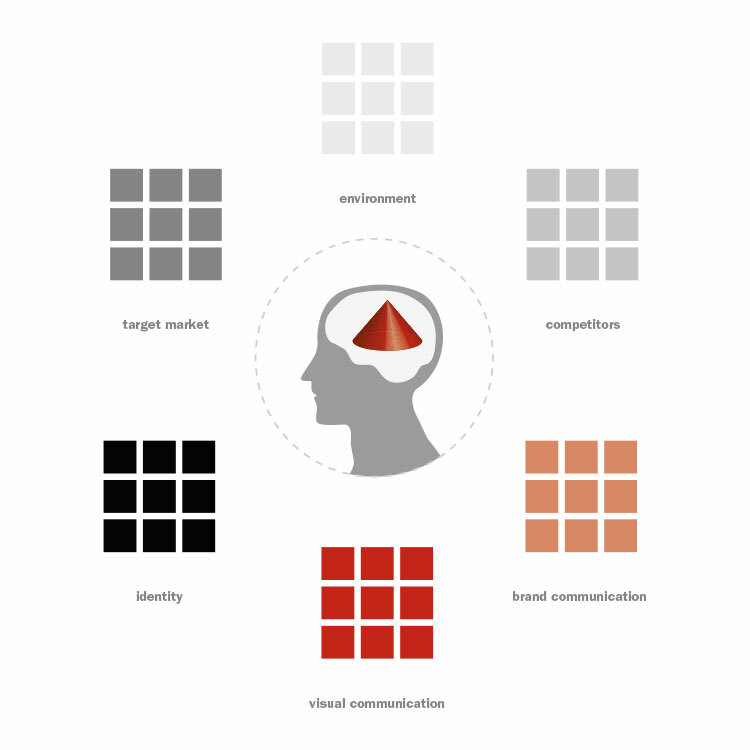 In our process, we understand and process six parts of the brand solution matrix as shown. This helps us create a brand experience that reflects the honest core of the brand to the consumers, and in doing so creates lasting brand loyalty. Through understanding each stage of the Campaign Cube we are able to present a clear campaign solution that is true to the essence of the brand.